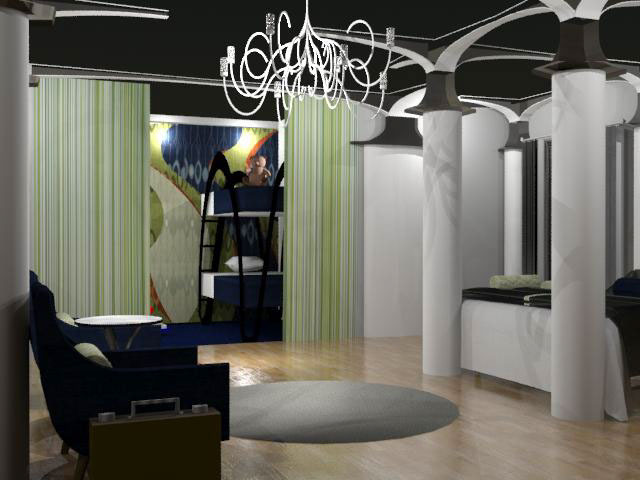 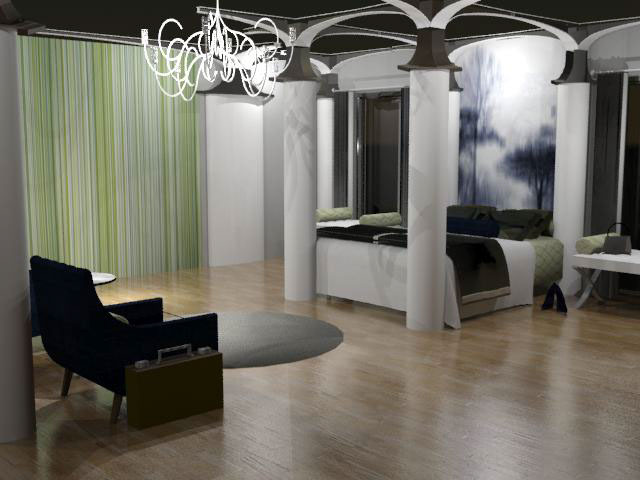 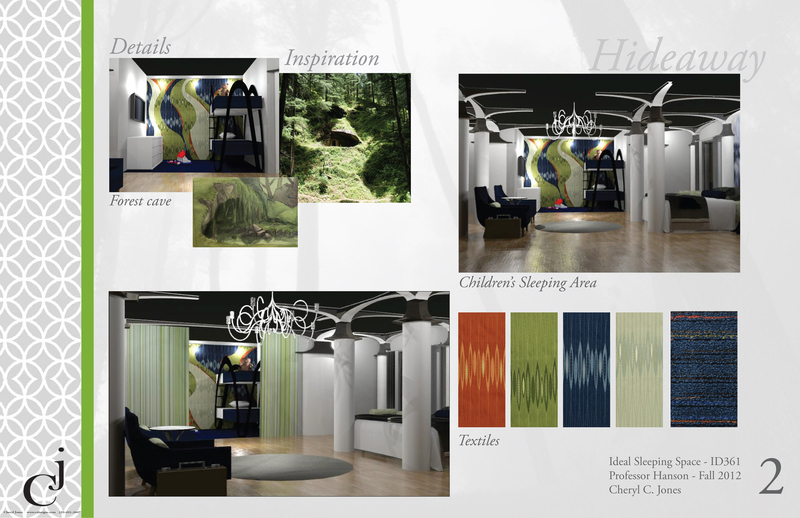 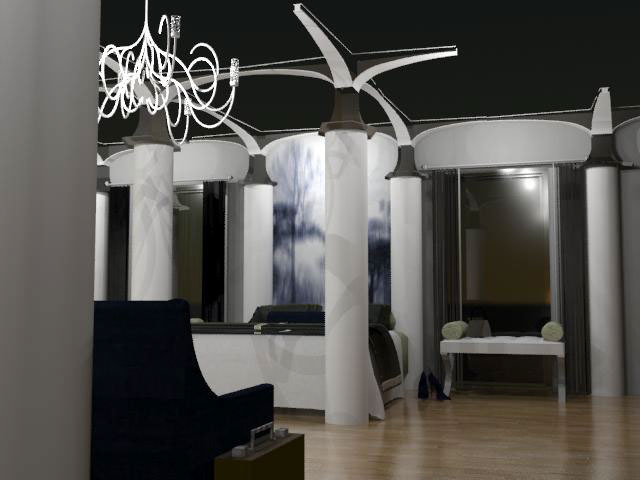 Project objective - to create a hotel room that was designed from a personal experience. 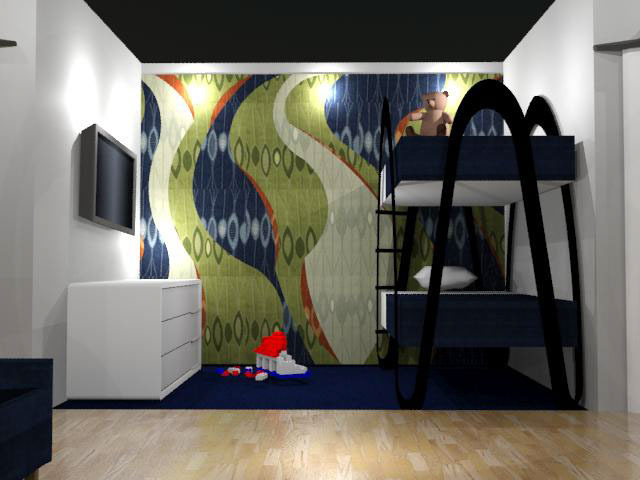 As I always travel with my kids I found that the rooms were either "luxury" or "kid friendly" - I have married the two in this project. 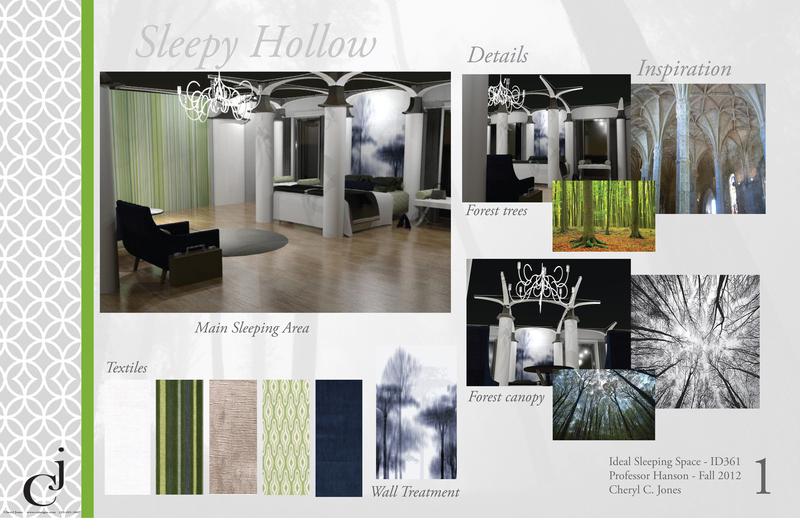 The concept is "Sleepy Hollow" and the trees, canopy and caves of the forest were the focus of my design. 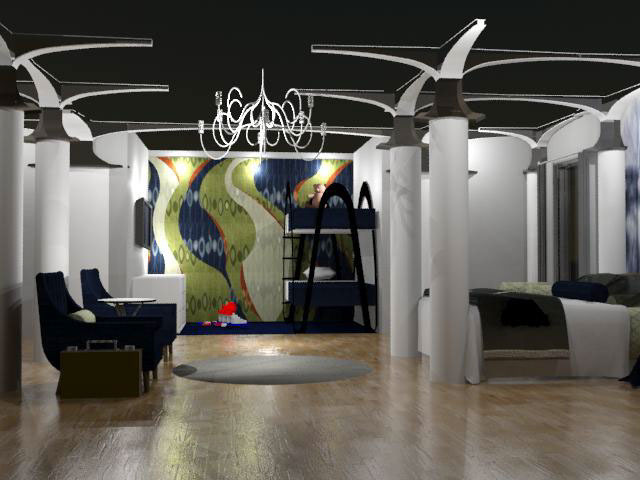 Quick and fun one week project.